Today is NATIONAL GUMDROP DAY!! 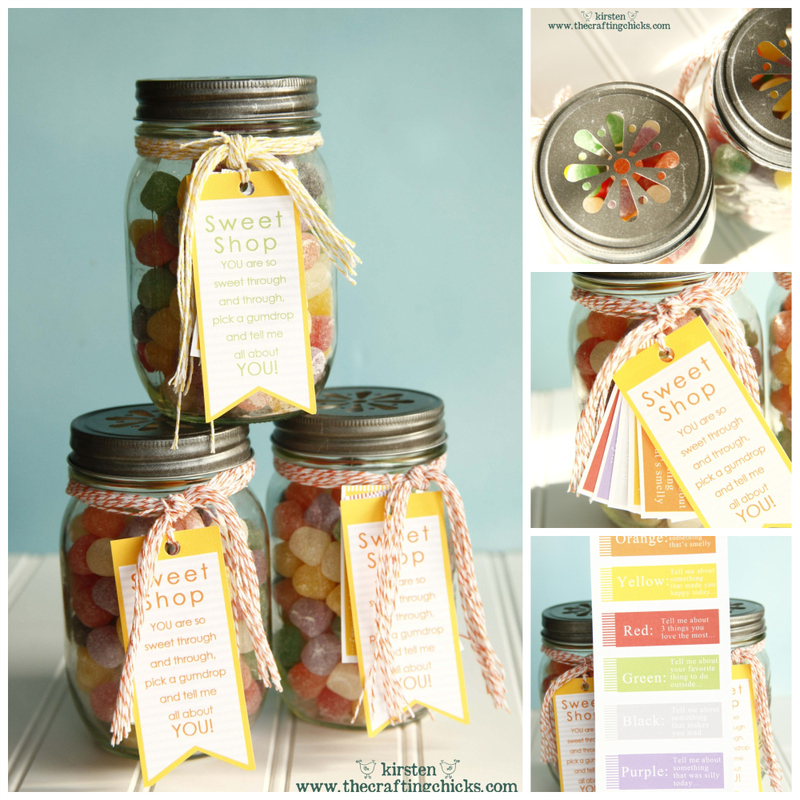 I’ll be sharing this fun creation on STUDIO 5 at 11am MST along with a handful of other bloggers who took the same challenge to make something out of gumdrops. SO TUNE IN!!! This segment will also be available online after the show :). This is the easiest project. All you do is fill the jar to the top and screw the lid on. Then you take the twine and make about 10-15 strips of 15″ twine and tie a knot around the neck of the Mason jar. Then you go below and print out the tags and simply use a hole punch and small piece of twine to fasten all the tags to the knotted twine around the neck of the jar. Instructions for the game: It’s super simple. This game is a fun conversation piece for friends & family. There are 7 colors of gumdrops in the jar. Each color has a coordinating tag that when you pick a gumdrop out of the jar, you answer the questions on the tag that coordinates with that color. This makes for a fun and “SWEET” way to snuggle up and have a fun conversation full of love & laughs. Kirsten, I loved this idea! So cute and you did awesome today on the show! I think I’m going to adapt this in some way for sharing time!